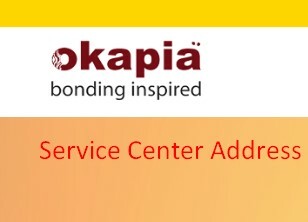 Okapia Customer Care Service Center Contact Number & Address! Are you searching Okapia Service Center Address in Bangladesh & Mobile phone number? If yes, just follow the below. Mohammadpur Town Hall Market 1st Floor, Shop No-98,99,101,102. 77/3 Green Super Market, (1st floor), Bangabondhu Road Narayanganj. Mirplaza, 2nd floor 88 C K Ghosh Road, Mymensingh. Room No.-41, 2nd Floor, Mahipal Plaza, Sohid Shaidullah Kaiser Road, Feni. Nagar Shiddiqi Plaza 2nd Floor, Shop No-213, 214 317 Jhonson Road, Sadarghat, Dhaka. Garden City Complex 42, M.M Ali Road Dhampara, Wasa Moor Chittagong. Shah Amanat City Corporation Market, 3rd Floor, Shop No-40, Chittagong. Sultan Market, 151 Shek Mujib Road, 3rd floor, Aagrabad Chittagong. Zonok Plaza Shopping Complex, 2nd Floor (Beside CEPZ Gate), Airport Road, Bondor Chittagong. Bhawal point shopping complex, shop no. -28,2nd floor Gazipur. Modhumita cinemahall market 1st floor, Raj ganj, Satipotti, Comilla. Renu Shoping Complex, Khalpara Road, Adalot Para, Shop no -1st floor (front Side) Tangail. Rounok Chember,M.K road, 3rd Floor Josshore. Coral Leaf Plaza, 4th Floor, Shop No-1, Bazar Ghata, Main Road Coxs Bazar. Islamia College Market, Shop no: 146/147, 1st Floor, N S Road Khustia. House # 39 K D A Avenue, 2nd Floor Khulna. Rafi Tower, Shop no: 5,6, 3rd Floor, Shehre Bangla Sorok, Jhenaidah. Rakib Uddin Pouro Market, Shop no. – 25, Goal chamot Road Faridpur. H# 301 no 90/80, Road # Brown Compound Ground Floor, Barisal-8200, Barisal Sodor Barisal. Hamid & Nahar Mobile & Electronics Market, 2nd Floor, Shop no:15,16,17,18 Nawab Bari Road Bogra. Isahak Ali Market, 3rd Floor, Station Road Sirajganj. Star Shopping Complex, 1st Floor, Zilalpur Pabna. Press Club Market, 1st Floor, Rangpur city Rangpur. Word no: 15, H # 134/1, Alaullah Bobhan, Baten khar moor, Ground floor, Chapainobabgonj. H # 9756, Sangita Moor, Satkhira Shodor Road, Satkhira. B.baria Jilla Porishod Market, Shop no -24 (1st Floor). Washim tower, Muktir Mor, 3rd Floor, Naogaon. Abdur Rahim Super Market, 1st Floor, Station Road, Bahdurpur. Dinajpur. Thanks for staying with us a long time and visiting Okapia Customer Care Service Center Contact Number & Address article. If you have any confusion or question or want to know more about the Okapia Service Center Contact Number & Head Office Address, just comment here. We reply as soon as possible.